← How to Prevent Back Pain? Lose Weight: Advice from a Spine Specialist who has done it! How to beat the heat and keep your back happy in the hot summer! The recent heat wave in North Texas has made it difficult to get out and enjoy the usual summer activities we all look forward to doing. Unfortunately, it doesn’t look like it is letting up any time soon, so it is important to find activities to maintain an active, healthy spine despite the weather. 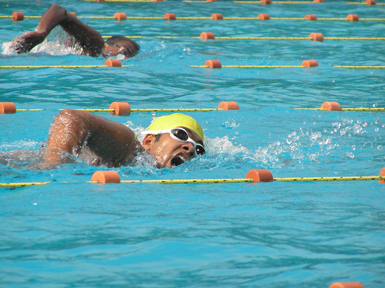 Swimming is an excellent activity to keep the back muscles loose and get a cardio boost. Just wading around the pool is enough activity to make a difference, but you can really push it and get a whole aerobic routine that can rival any land-based workout. Plus, its a fun activity to do with the kids and definitely helps beat the heat. This is also a good time to join a gym or take a pilates or boxing class. 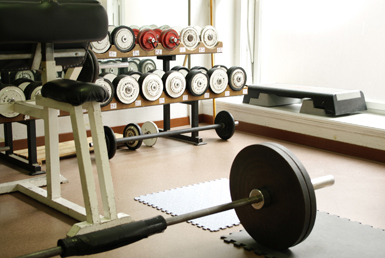 Organized workouts that engage the entire body are excellent for your back and are typically done indoors in the AC. Another activity is active video games like Wii Fit or others that involve your whole body and give you a good workout while having fun. Always remember that when starting a new workout routine to ease into it and let your muscles get acclimated to avoid injury. So, despite the heat, it’s important to keep your activity level up to maintain a happy, healthy back.